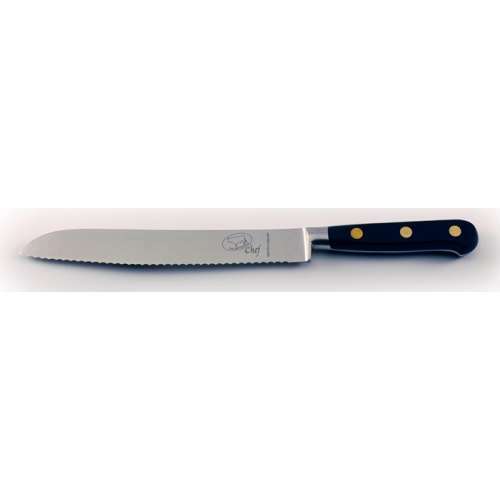 A slicer is a highly versatile piece of hardware it is usually longer and narrower than the average knife, this increases the flexibility of the knife. 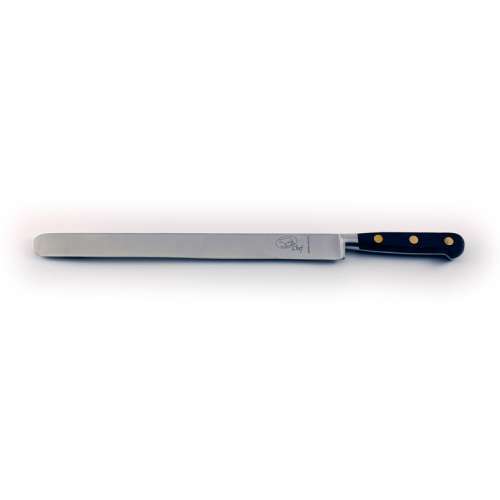 The length allows the user to produce cleaner, more precise cuts by cutting entirely through their product in a single fluid motion. 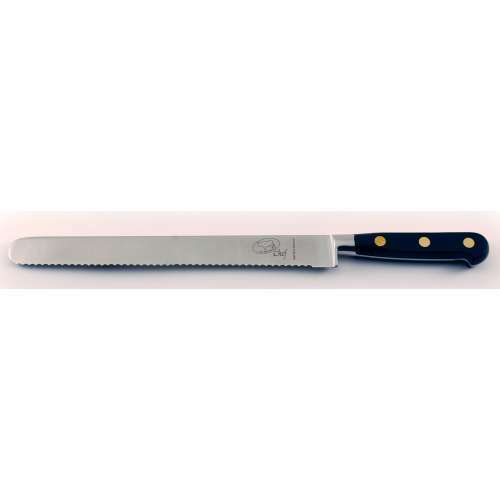 A slicer is a highly versatile piece of hardware it is usually longer and narrower than the average knife, this increases the flexibility of the knife. The length allows the user to produce cleaner, more precise cuts by cutting entirely through their product in a single fluid motion. 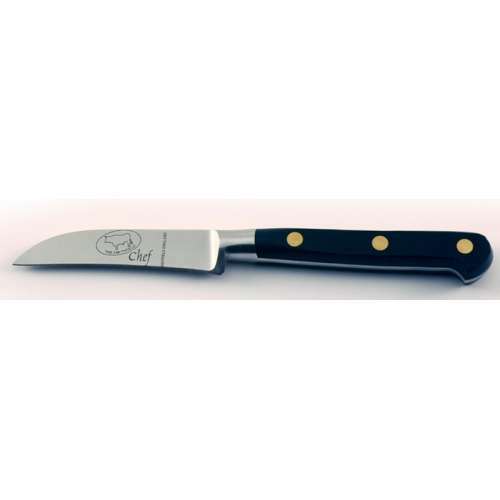 The serrations on the edge allow the user to produce sharper, faster cuts, enhancing the overall kitchen experience. 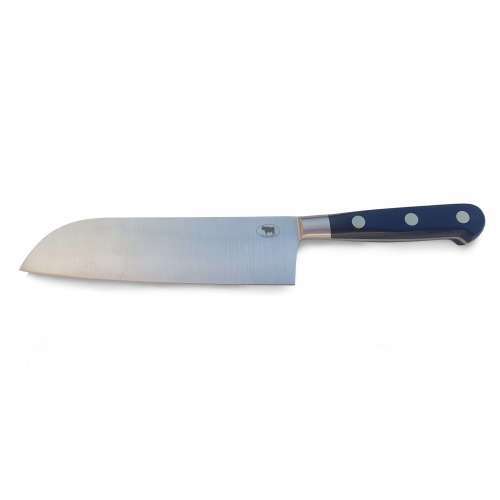 The slicer is also highly adaptable and can have either a plain or serrated edges, pointed or rounded tips. 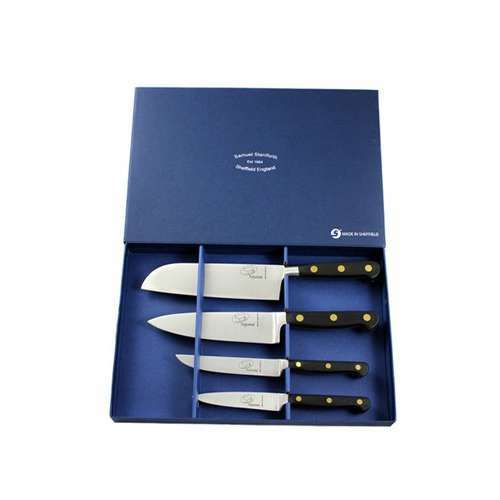 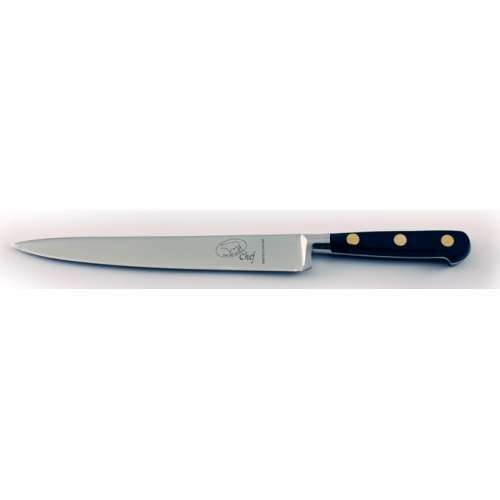 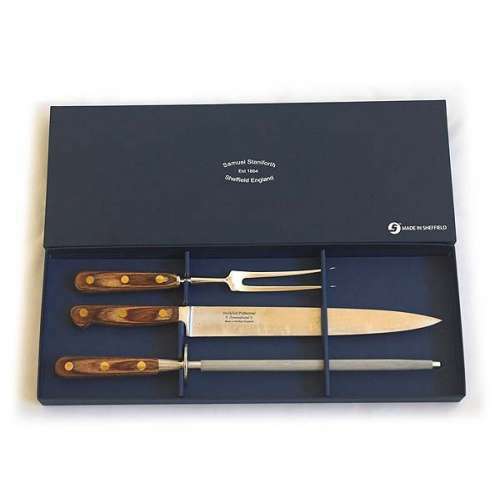 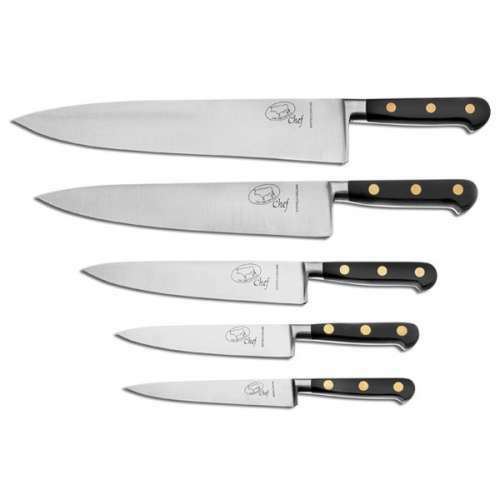 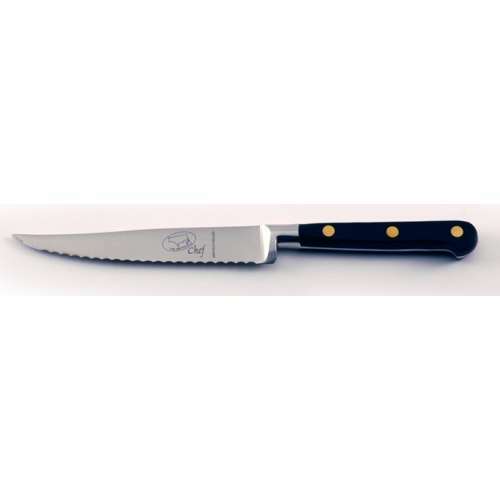 Samuel Staniforth 'Chef' range knives boast a traditional style of Sheffield knives. 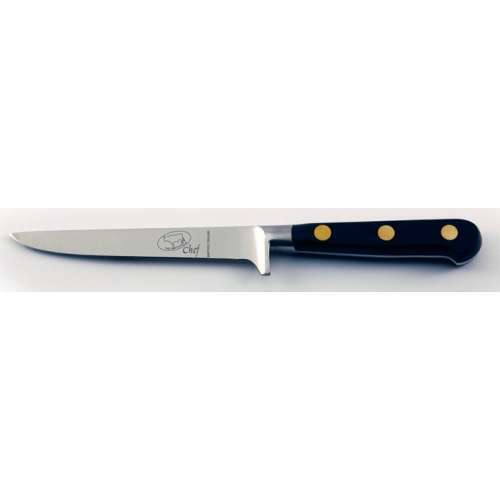 This includes the fully forged blade, forged by hand, brass rivets are secured by hand which will permanently secure the handle to the tang. 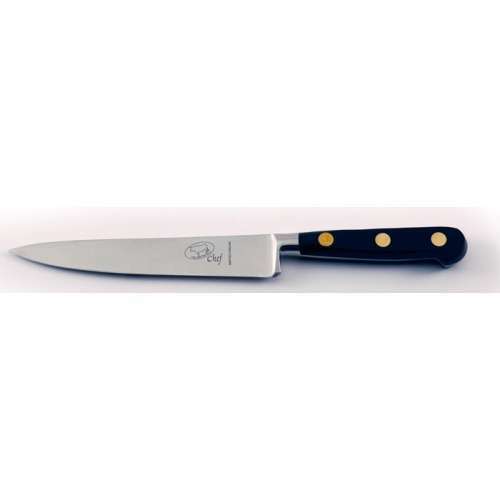 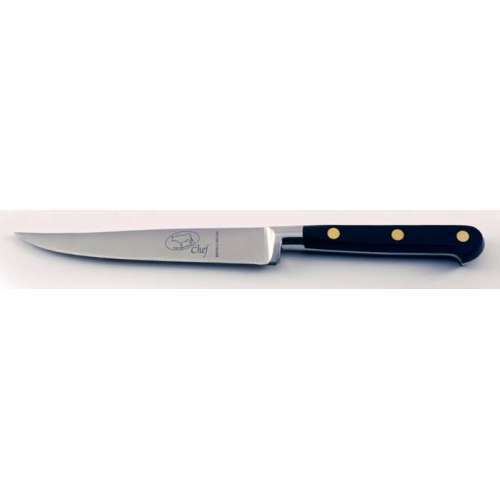 The chef range, features a round bolster which counter balances the knife to ensure it can be the perfect ally in the kitchen. 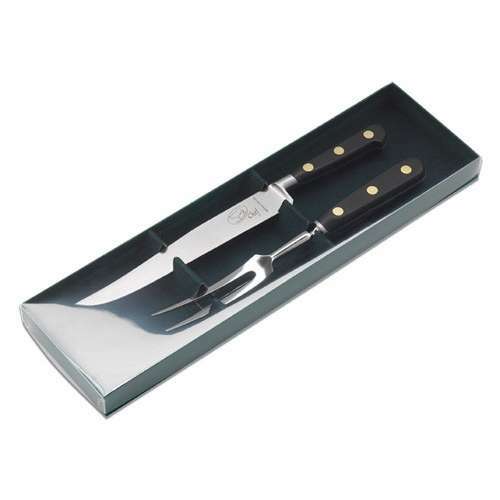 Blade Lengths Available 10", 12"